Home » All Vendors » Baked. 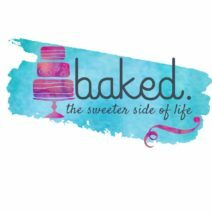 Baked will have cheesecake, cookies, muffins, cupcakes, pies, and gluten free options of all of those baked goods. Plus, they will have dog cookies, vegan baked items, and keto baked items.